I always forget how spectacular a Cahaba lily is until I come upon a stand of the flowers on a gentle bend in Alabama’s Cahaba River. The Cahaba lily is a rare lily that only grows in a very few spots in Alabama, Georgia, and South Carolina under very specific conditions. There must be swiftly flowing water over rocks. There must be abundant sunlight. 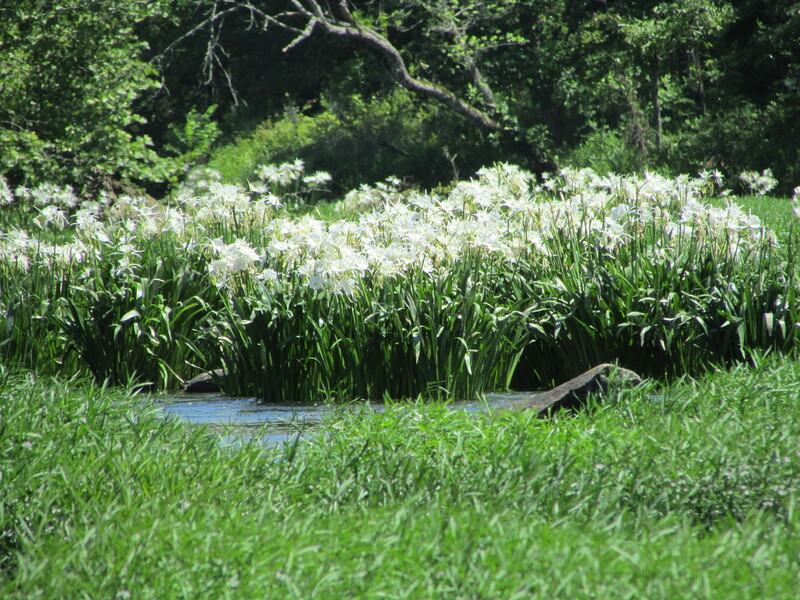 The Cahaba River National Wildlife Refuge near West Blocton, Alabama, is a prime viewing spot for the lilies during their brief growing season from May into June (roughly Mother’s Day to Father’s Day). Each of the fragrant flowers blooms in early evening and only stays for one day. The flowers go through their pollination cycle, dropping seeds into the stream where they become lodged in the rocks and shoals and await their vibrant display a year later. There are a couple of significant stands of lilies visible from the narrow dirt and gravel road through the wildlife refuge. 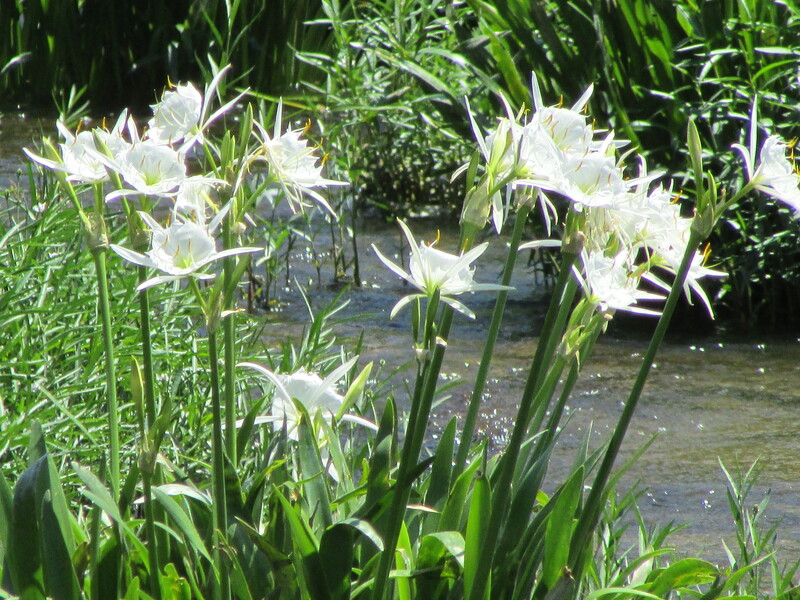 The water rushes over rocks and through tall grasses and hundreds of stunning white lilies show off their elegant beauty. It never fails to take my breath away. 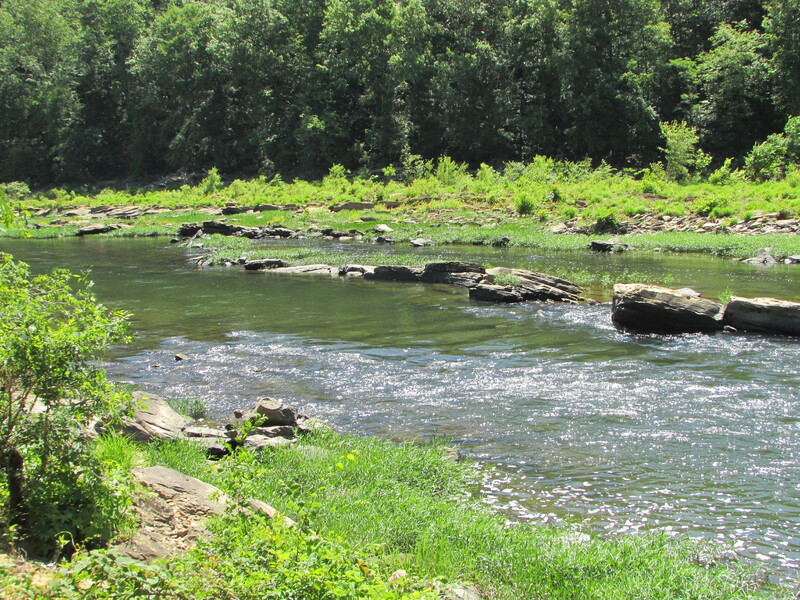 The Cahaba River is one of the most significant of Alabama’s abundant natural treasures. At almost 200 miles long, it is the longest free-flowing river in the state and provides water for a quarter of Alabama’s population. Its path takes it from St. Clair County, through the suburbs of Birmingham, and into rural Alabama and the Black Belt where it empties into the Alabama River at the ghost town of Cahaba near Selma. According to the U.S. Fish and Wildlife Service, the Cahaba River is home to 131 fish species – more per mile than any other river in North America. Eighteen of these fish species are found only in the Cahaba River and Mobile River Basin. The refuge is a habitat for at least a dozen threatened or endangered species including migratory birds and bats as well as assorted fish, mussels, snails, insects, and plants. 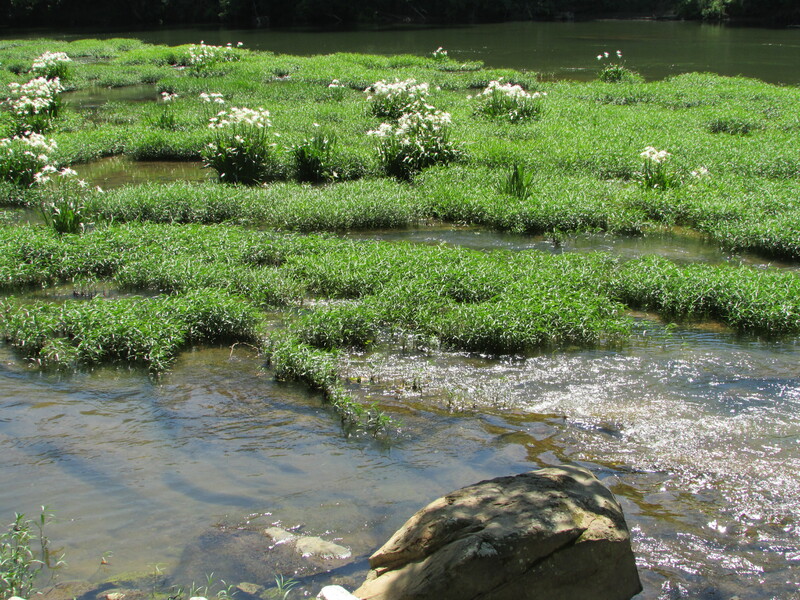 In addition to being a star in its own right, the Cahaba lily is significant to the area because its beauty and popularity help draw attention to the other aspects of the Cahaba River, its watershed, its significance and dependents. 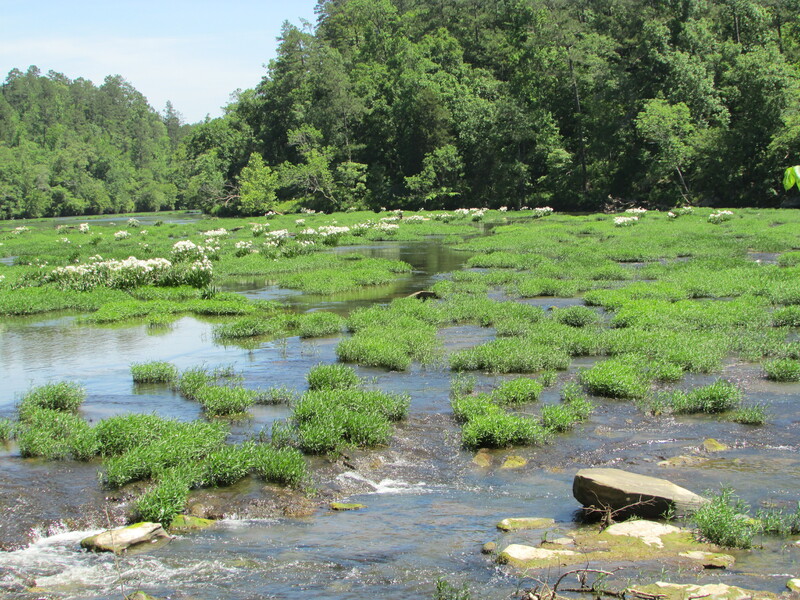 The ever-growing popularity and fan base for the lily help to draw attention to the support groups like the Cahaba River Society (www.cahabariversociety.org) which strive tirelessly to protect this rare and beautiful place. 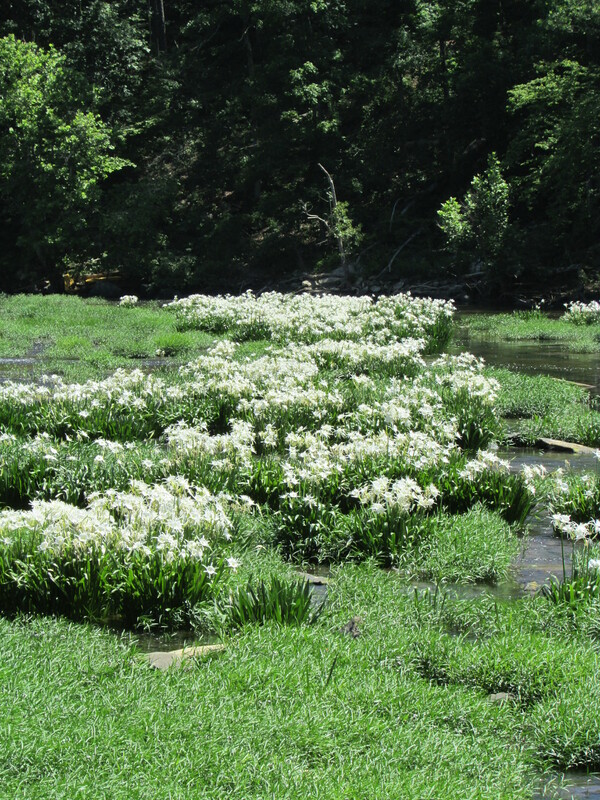 Beyond all of that, the Cahaba lily in bloom simply belongs on every nature lover’s list of things to see. This entry was posted in Cahaba lily, Cahaba River National Wildlife Refuge, Cahaba River Society and tagged Alabama, Cahaba lily, Cahaba River National Wildlife Refuge, Cahaba River Society, the south, travel, West Blockton (AL) on May 23, 2015 by gedwardjourney.